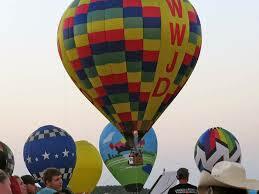 Colorful hot air balloons will be flying and landing at the C. E. “Rusty” Williams Airport in Grand Cane. The event will be filled with family fun with activities scheduled from 4:00 PM until the festival closes at 10:00 PM. Contact: jmckinney@desotoppj.com for additional information.